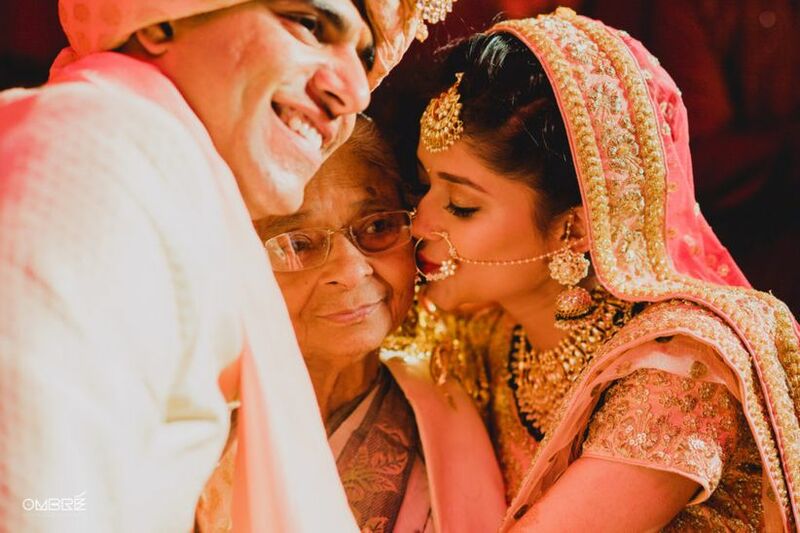 10 Important Wedding Pictures and How to Get Them Clicked Well | Wedding Tips ARE YOU A VENDOR? Refer to our simple checklist to make sure all your important guests find a spot on your final wedding album. Every bride has a vision of her wedding day and how she wants her wedding pictures to be captured. We always suggest planning early because finding the right wedding photographers is just step one. The process continues wherein you’re required to communicate with your wedding decor vendors, florists and more, sharing reference imagery and introducing them to your first family and friends. Often times, brides and grooms miss that last step and end up getting wedding albums with no pictures of their closest family members and friends. To make your life simpler, we have a created a checklist of wedding pictures, every couple should have in their album. While it’s expected of the brothers of the bride to be busy throughout the wedding events, convince them to take some time out for a brothers’ photoshoot. 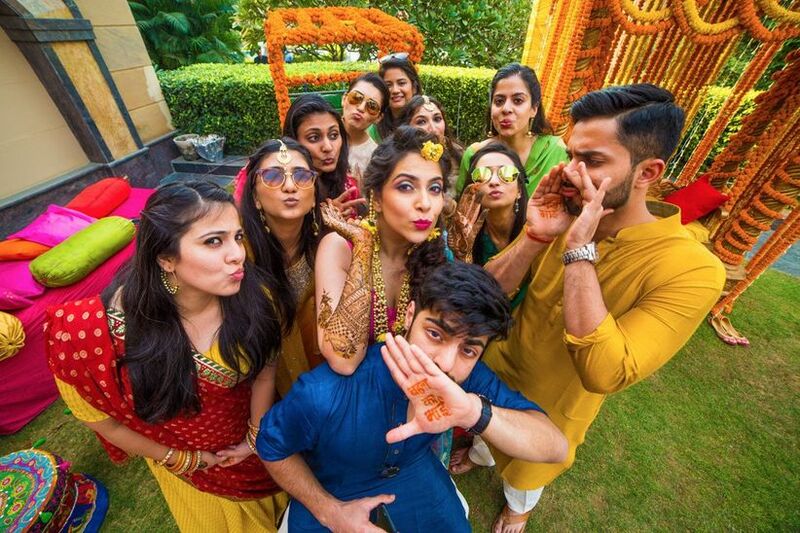 It doesn’t have to be a stylized shoot, just some candid pictures of your decked-up brothers and cousins that you can remember and repost every rakhi season. 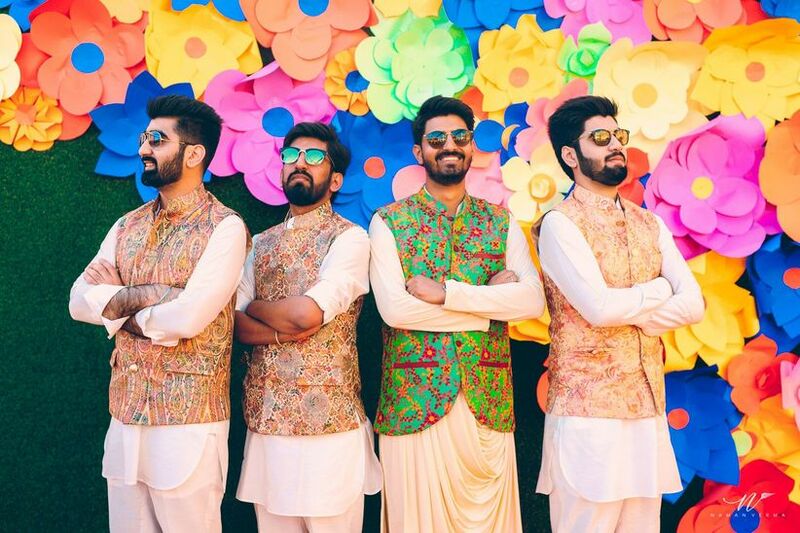 Grooms- Utilise that pre-baraat time and pull off a fun shoot with your best men. 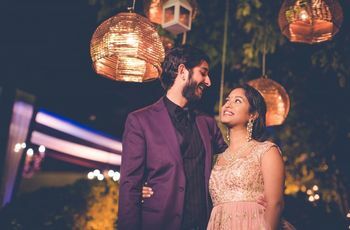 It’s not usual that you’re all suited up to perfection in your sherwanis and other Indo western attires, which is why you should take out time and capture this moment for sure. Opt for innovative shoot poses and accessories for these wedding pictures. 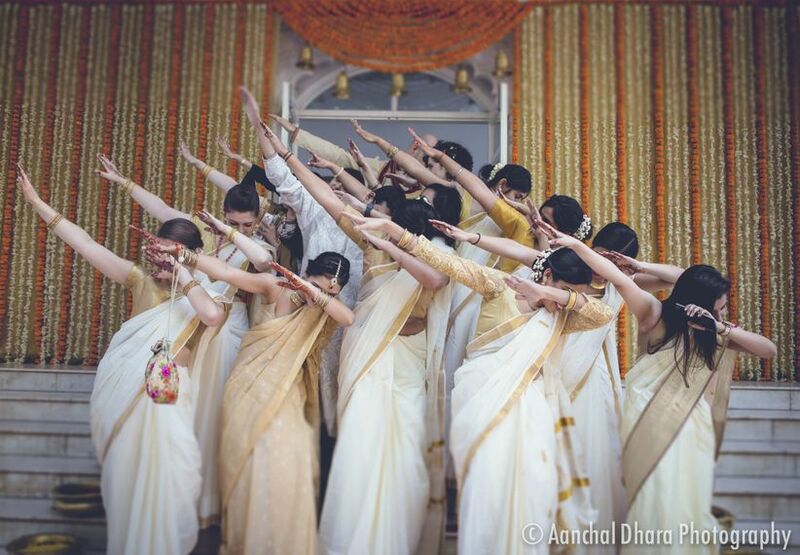 We’re very happy to see the bridesmaids shoot become an acceptable part of every wedding photographer’s social feeds. 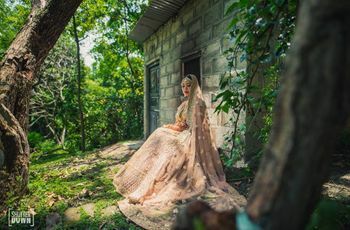 Get your girls to arrive 30 minutes prior to the baraat and find a nice spot near your bridal room for this shoot. You (and your gang) will thank us later. 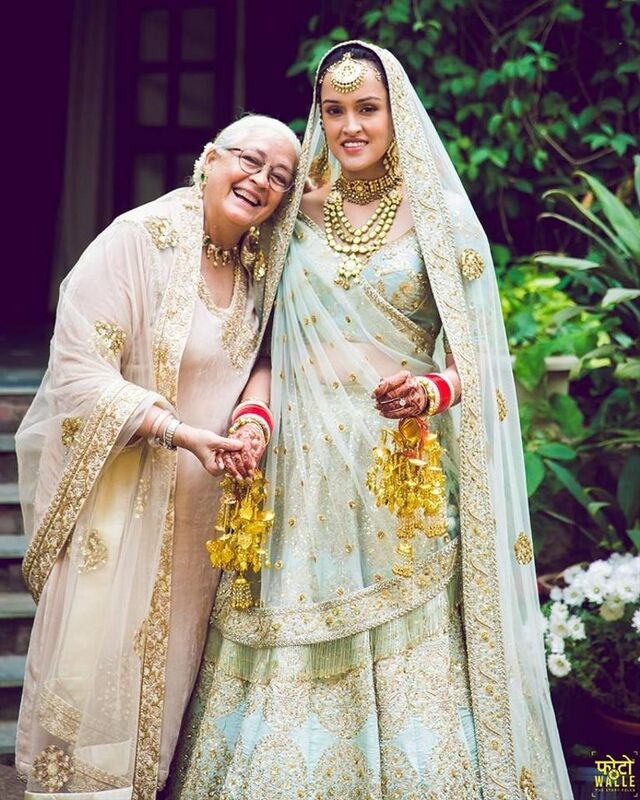 Take inspiration from this gorgeous moment shot at actor Nafisa Ali’s daughter’s wedding to have a mother-daughter shoot on your wedding day. She’ll be a busy day on your D-Day, which is why it’s important for you to prepare for this shoot well in advance. 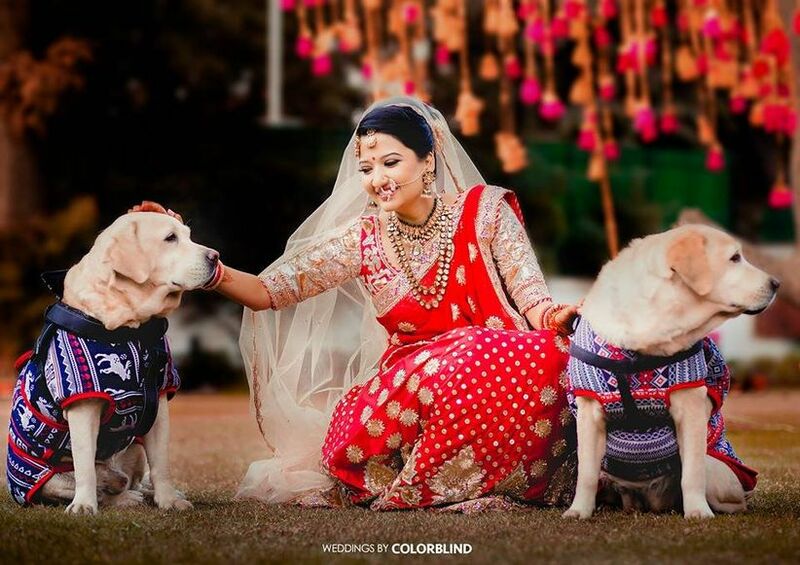 If you’ve grown up loving your pet family, you should include your furry friends in your wedding pictures too. You can do this on any event day, we suggest the home mehndi or during your bridal photos session. Bridal Kalire images are fun and deserve a photographer’s full attention. 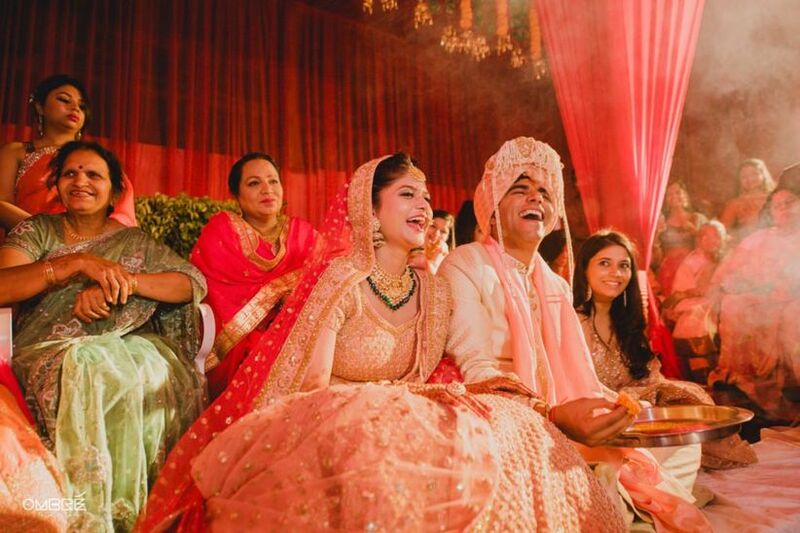 Make sure you have the main candid photographer at the bride’s Haldi for this event. We suggest taking this ceremony outdoors for high-quality images in natural light. Your niece and nephews are super excited to be a part of your wedding ceremonies and their adorable mannerisms make for great additions to your wedding pictures. Introduce the photographers to their cuteness and then let them work their magic. 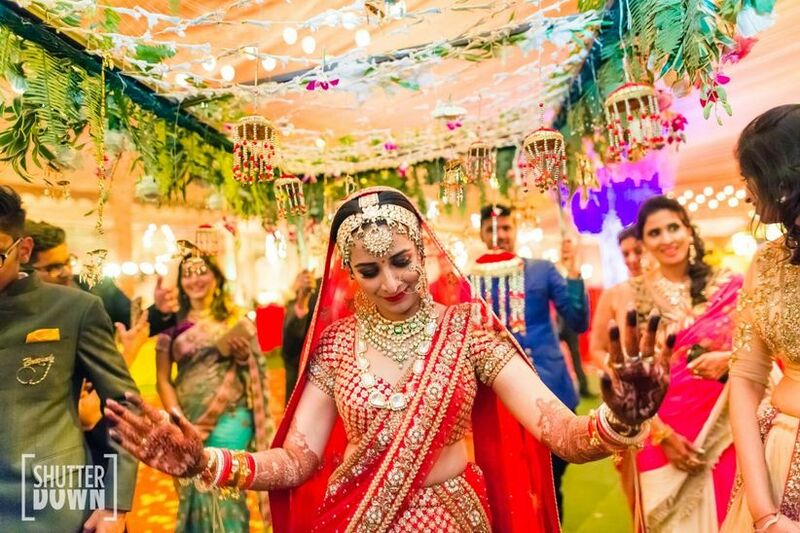 Many times, wedding decorators don’t create enough space around the wedding mandap or vedi, which leads to crowding during the main ceremony time. 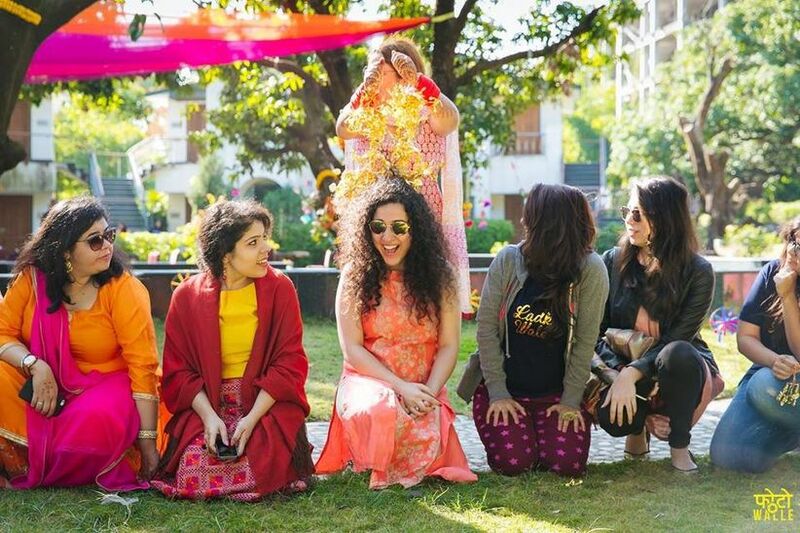 This affects how your photographer captures your pheras. Introduce your photographer to the decorator so that the former has the right space and light to capture valuable candid phera shots for your wedding pictures. 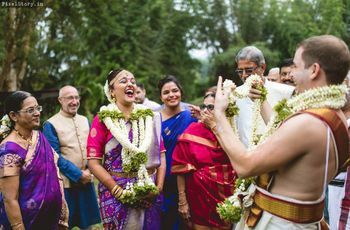 This important wedding moment often doesn’t get captured well because of overenthusiastic wedding guests who start clicking the bridal entry on their respective phones. 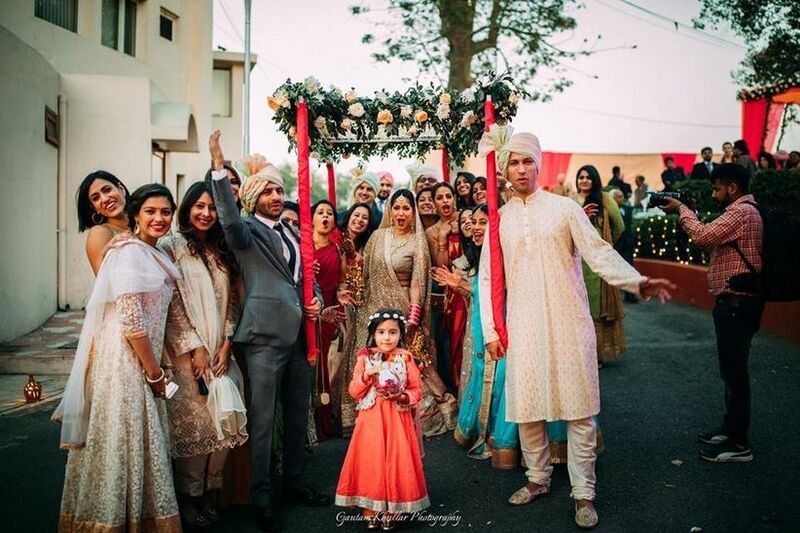 We suggest getting your brothers and friends to clear out a path for your bridal entry so that you’re directly looking at your groom and can be clicked naturally. 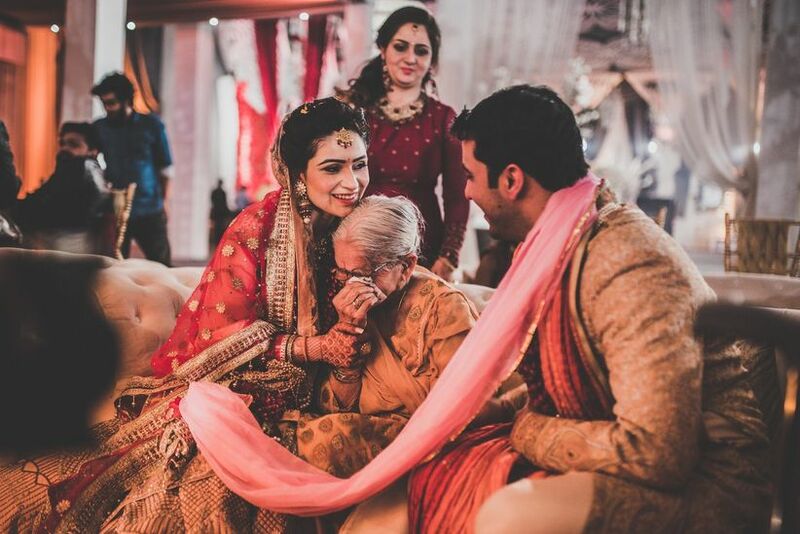 Your grandparents are the happiest souls on your wedding day. 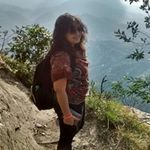 Most traditional photographers do click your daadis and naanis, we recommend introducing your candid wedding photographers to their happy faces also. That should help in getting some emotional vidaai and phera pictures for your wedding album. 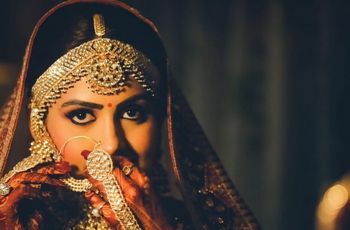 Apart from all these important people, make sure you get your bridal lehenga and bridal jewellery clicked too. Keep this list in mind and share it with your photographers so that they capture everyone who’s important to you and the wedding. This was, you can stay tension free on your big day and focus on enjoying the day you’ve planned so fondly.